Melissa first shot a shotgun in late fall of 2015, and hasn’t looked back since. She got her Kolar shotgun in November of that same year. Just two months later, she attended her very first shooting competition, and two months after that, in March of 2016, Melissa won Ladies HOA at the Black Gold Open in Bakersfield, CA. The following year, in March of 2017, Melissa had to take medical leave from college, as she was diagnosed with a rare brain disorder. This setback didn’t stop her from doing what she loves- shooting. That same year, Melissa attended the Junior World Championships, where she shot several personal best scores, and won the 28g Collegiate Lady division. 2018 was a year for the books for Melissa. In addition to making podium in almost every major shoot she attended, Melissa shot her first 100 straight at the Elite Shotguns Classic, and was also the only lady named to the 2018 California State Open Team. 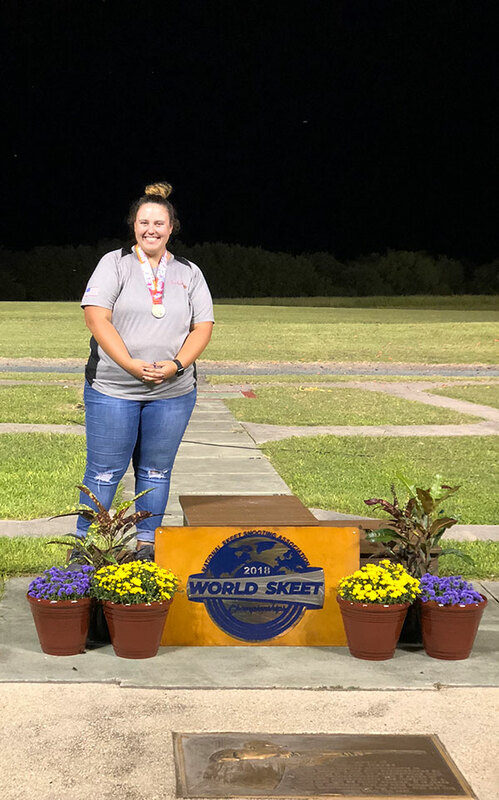 Melissa attended the World Championships for the third year in a row, but this time she made Lady podium in three different events, after shooting her first 200x200 in the Mini World Championships.